The Rat Chinese zodiac sign determines the character of people born in the years 1912, 1924, 1936, 1948, 1960, 1972, 1984, 1996 and 2008. These people are considered being charming but they also have a potential for aggression. People born in the sign of Rat, no matter if man or woman, will usually spend a lot of time with their friends, and through their sociable personality, they are real party animals. Individuals born in the Chinese zodiac sign Rat will only rarely come to rest and therefore, inactivity and idleness are not part of their vocabulary. People born in the Chinese zodiac sign Rat will have more acquaintances than real and true friends in their lives. Especially people who Rat people feel close to and who they love will be highly estimated and pampered. Whoever became a friend of people born in the sign of Rat, is treated like a member of their family. Rats love to communicate with other people and often they seem to be somewhat chatty. Despite this joy in talking, Rats will find it difficult to confide in another person and will deals with their problems themselves. Thanks to their intelligence, they will not find that difficult because they are in fact in a position to solve a problem in a few hours for which others might need a few days. People born in the zodiac sign of Rat are very confident and always have a good instinct, which they can count on. However, Rat people are very stubborn, too, and generally prefer to live according to their own rules. Therefore, living or working together with Rat people is not always easy since in addition, they are absolute perfectionists. Similar to the western zodiac signs, Chinese astrology also attributes positive and negative personality features to the Chinese zodiac signs. The particularly positive personality features of people born in the sign of Rat are persistence, self-confidence, ambition and cleverness. Individuals born in the zodiac sign Rat are very creative and love to create new things. They are smart and highly intelligent and are considered to be very cheerful and sociable humans who will always behave in a charming, sociable and generous way, and who are absolutely faithful and loyal towards their partner and their real friends. They will treat the people they feel close to emotionally with a lot of warm-heartedness and tenderness. As a rule, people born in the sign of Rat are very robust humans who are of good health and who will face a long life. Where there is light, there is also shadow. Therefore, also people born in the zodiac sign of Rat have some negative sides in their personality. Individuals born in the sign Rat are considered being very grim and stubborn and tend to overestimate their strengths. Sometimes they tend to be somewhat aggressive when they criticize other people, and usually they will not spare in criticism. Particularly in a love relationship, Rats can be very jealous and envious, and they will not shy away from spreading very unpleasant gossip and rumors about others, too. If Rats want to pursue their goals, they will only rarely show consideration for others. In direct competition, they will be quarrelsome and selfish and will always feel discriminated very easily. People born in the Rat Chinese zodiac sign have very good organizational skills. In most cases, they have their professional life and their daily work routine under control and they know precisely what they want and what to do to achieve their goals. Rats are not only very good business people, but are also suited for political positions, because they usually are excellent speakers and are able to convince others of their ideas. They are interested in technical subjects and they prove to be good scientists, too. Individuals born in the sign of Rat are appreciated employees in every company, especially as managers. It is not always true that everything is easy to achieve for these people, but they are always prepared to give their best to gain professional success. Therefore, they carefully plan their projects and develop good strategies for the accomplishment of their projects. People born in the sign of Rat are considered being ambitious and diligent quite rightly, because they work hard and enduringly to get on with their career. 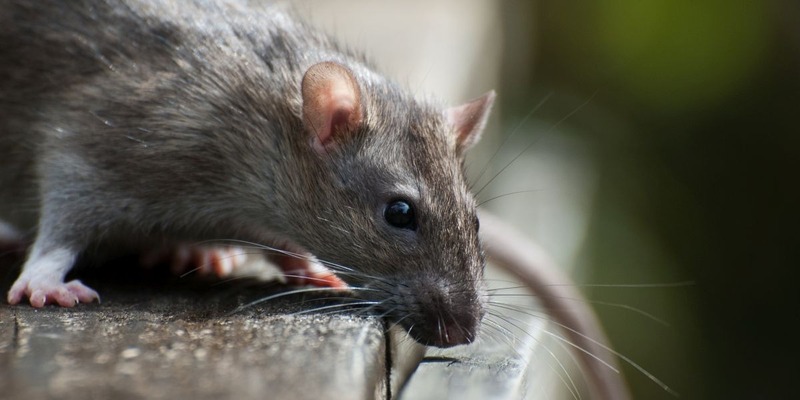 For people born in the sign of Rat, their own finances play an important role in their life. They are very cautious concerning financial investments and put less importance on a fast profit, instead they always want to have a corresponding amount of money to spare. Rats tend to be thrifty to an extent that other people would call stinginess. This is somewhat surprising if one considers that people born in the sign of Rat generally put great importance on material things and always like to have some kind of luxury around them. They quite like spending money for nice clothing, a stylish car and a nice home but without becoming incautious or negligent as far as their finances are concerned. Rats live according to the motto “you only live once” (= man gönnt sich ja sonst nichts). But they will only do so if the account balance allows for that. People born in the zodiac sign Rat are very honest as far as love is concerned. Once they have taken a person into their heart they will do almost everything for him or her and for being able to do so, nothing is too much or too expensive. Actually, this contradicts their character, because Rats will usually find it hard to spend their money. However, as far as love is concerned, they show another facet of their personality. People born in the sign of Rat, no matter if man or woman, want to enjoy love with their partners and to devote themselves totally to their feelings. In a relationship with people born in the sign Rat, it is important that these people will not become bored within that partnership, because otherwise, they will soon lose interest in this relationship. People born in the zodiac sign Rat are aware of their charm and their attractiveness; and they will use both very cleverly for their own benefit. However, they are not on the search for adventure, but will be a caring and faithful partner for their lover. The most suited partners for Rat people are the zodiac signs Dragon, Monkey and Ox, because Rats are able to live in harmony with people born in these signs. People born in the sign of Horse are least suited for a relationship with Rat people. Due to the differences in their character, the Rat and the Horse will live in disharmony, which makes a happy and content coexistence more than unlikely.